8) insurance broking services and outdoor advertising. The group maintains a steady growth of net profit despite a slight revenue decline caused by unfavourable currency translation this year. With the entrance and fierce competition brought by Uber and Grab, ComfortDelGro’s taxi business succeed to keep growing profitability. The five-year lowest P/E ratio indicates it is undervalued in a greater degree by the market. However, ComfortDelGro’s actions and measures towards issue of diesel tax and further competition are vital. 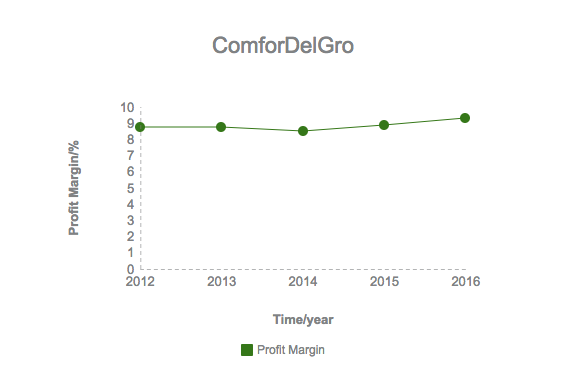 ComfortDelGro group had a steady growth of revenue during the period from 2012 to 2015, but experienced a light drop (1.26%) of revenue in 2016, which is mainly caused by unfavourable foreign currency translation, as the Group revenue should have been increased 1.76% by $72.4m. Stable growth of both operating and net revenue can be observed, but the growth rate has been declined after 2014. 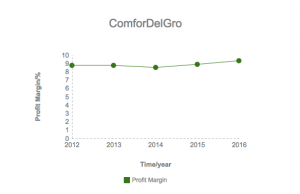 Also, the group achieved its highest profit margin in 2016. From the perspective of segments operation (the eight segments can be found in the previous part of Brief Background), in the financial year of 2016, more than half (57%) of the group revenue was contributed from the segment of Public Transport Services Business. One third (33%) of the group revenue was driven by the segment of Taxi business, which is also the most discussed segment in recent years because of the competition from Uber and Grab. Approximate 10% of their revenue came from the Automotive engineering services. 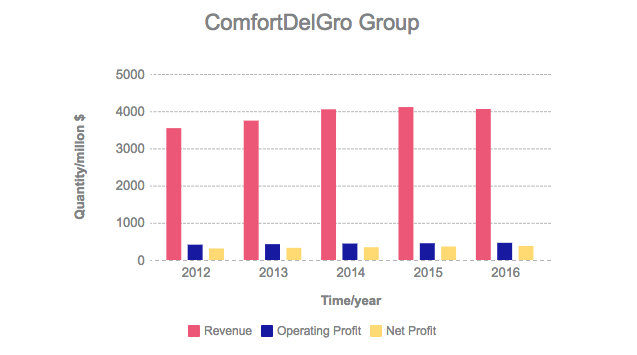 The chart represents revenue of the three largest segments of ComfortDelGro. According to the chart, revenue of taxi business managed to maintain slow growth under the competitive pressure of Uber and Grab, especially after the aggressive expansion of Uber in early 2015. 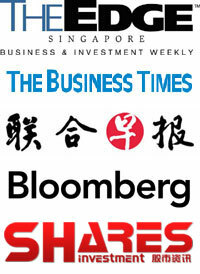 ComfortDelGro stated in their financial report that the revenue growth in the Public Transport Services Business, Taxi business, and the Driving centre business was offset by the decrease at Automotive engineering services business, the Inspection and Testing Services Business, the Car Rental and Leasing Business and the Bus Station Business. 3. Compared to the number of 31 Dec 2015, the group burdened less secured and unsecured borrowings and less payables. Total equity had a growth of 5.96%. Net cash generated from operating activities edged up to $702.5m from $600.2m at the same period of last year. However, the amount of free cash flow has a small slide of 1%. Overall, the group maintained a stable financial and cash flow position. Now the group has a P/E ratio of 16.732, lower than that of the Transport industry(33.267), it is also the lowest number observed during the five-year period since 2012. The Earning per share (EPS) is 14.7 cents, with a dividend yield of 4.187%. Are entrants of private-hire car threatening the profitability of taxi business? After Uber and Grab entered the market, the amount of taxi licences issued was indeed affected by the rivalry. 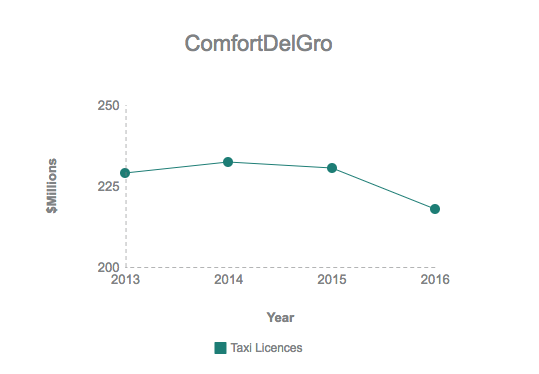 For ComfortDelGro, the quantity of taxi licences were prone to fall since 2014. 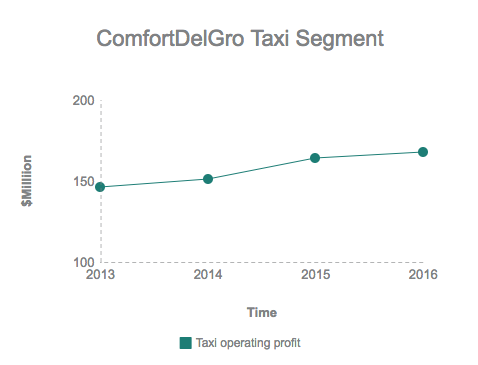 However, the group presented positive numbers in both revenue and operating profit of Taxi segment during the recent years. 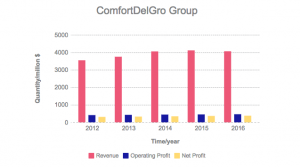 Hence, during the competition with Uber and Grab in the taxi industry, ComfortDelGro neither suffer from decreasing profit nor from loss. The possible reason could be that certain amount of consumers choose Uber/Grab because of the attractive coupons/Promo code they can use for car services. However, under the circumstance of urgency, they still prefer taxis as they do not have the time to schedule rides in advance and do not wish to waste time waiting for the Uber drivers. 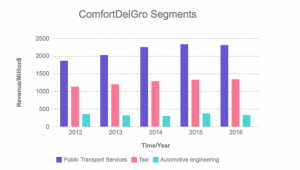 ComfortDelGro has witnessed improvement in service quality since they started the competition with Uber and Grab. Is the Business of Uber and Grab sustainable? Uber and Grab have proved their success by conquering the Singapore market and becoming well aware by people within a short period of time, but still, they face various obstacles with their operations. How long can they allure customers by using promo code? Singapore’s private car hire business including Uber and Gran need to be licensed according to the amendments to the Road Traffic Act (RTA) after 7 February. The Budget 2017 of Singapore announced the levy of diesel tax of 10 cents per litre, thus increase the operating cost of taxi business. Though taxi operators adopt plans to pass on tax reduction savings to drivers by less rental fee, the actual cost will increase according to research. The 2 taxi operators introduce surge pricing(dynamic fares) and cut their rental fee to deal with competitions from Uber/Grab. 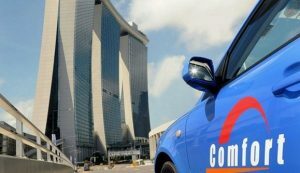 But ComfortDelGro, as well as SMRT taxi, has not disclosed any intention towards the new plan. What’s the discussion in our community? 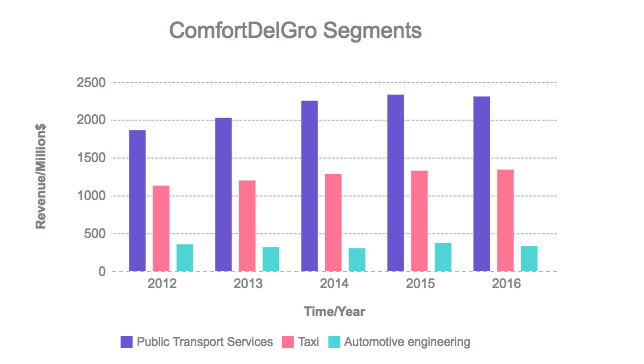 ComfortDelGro performed well under the fierce competition with private hire services and new entrants in Taxi business. 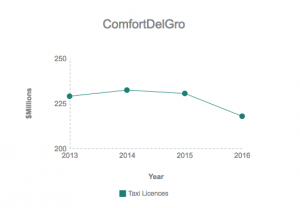 Under the circumstance that Uber or Grab maintain their operating strategy, ComfortDelGro group has a great chance to gradually gain their customers in Taxi services back. However, facing with declining growth of revenue, ComfortDelGro group has to carry out appropriate measures to deal with rising diesel cost and make greater efforts on cost reduction. Additionally, ComfortDelGro’s movement towards the latest plan promoted by Trans-Cab and Premier Taxi is vital. 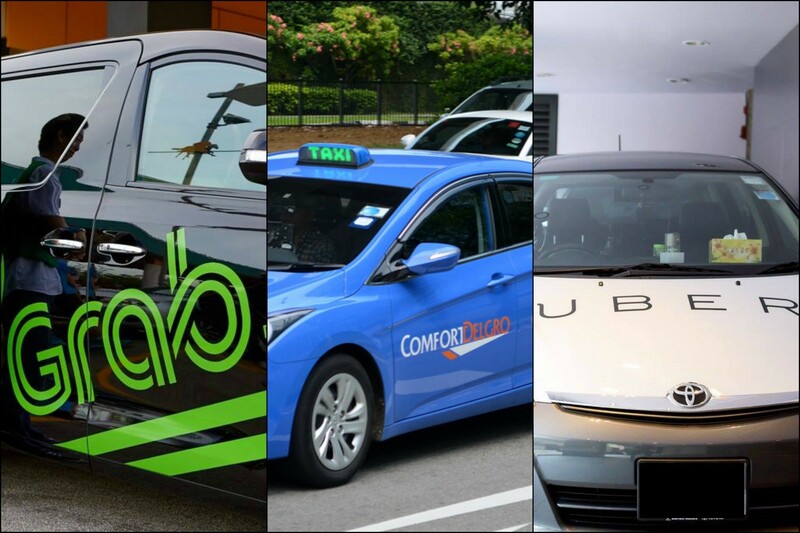 For ComfortDelGro, and also for the taxi industry, it is the right time to have an innovation now. 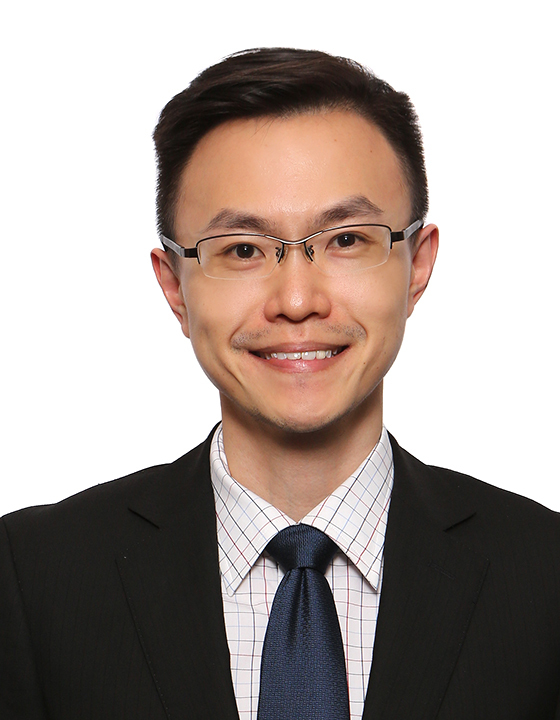 P.S: This write-up was reproduced with permission from InvestingNote (www.investingnote.com), written by Ethan Ho. The social network exclusively for stock investing, InvestingNote is a free, social network platform designed specifically for crowdsource investment ideas, news and interaction for the stock investing community. Besides having access to stock data, users can upload research reports, utilize technical charts and make stock price targets that will be visible to the entire community. Users can also gain reputation points when they have followers, likes and posts. CD, Comfort, Delgro, financial, grab, licence, profit, revenue, taxi, uber permalink.